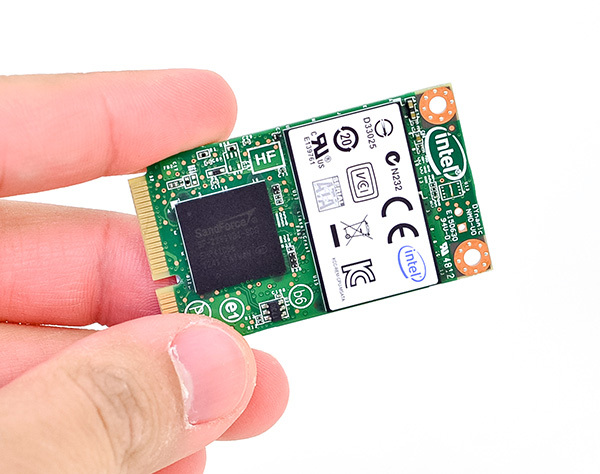 The mSATA SSD space has been heating up over the past year as Ultrabooks and other small form factor devices like Intel’s NUC have continued to grow in popularity. While mostly a placeholder until M.2 (formerly NGFF) SSDs show up on the market, mSATA drives are currently the only solution if you need a standardized small form factor 6Gbps SATA SSD. Due to physical limitations, the largest mSATA SSDs on the market today are still 240/256GB as there’s only room for 4 NAND packages (8 x 8GB die per package). The transition to 128Gbit NAND die will double this to 480/512GB so I’d expect that limit to be broken in the next quarter or two. Although there are capacity limitations, there are no real performance limitations to delivering an mSATA SSD. As we found in our review of Micron’s mSATA C400, you can deliver the same performance as a 2.5” SSD in the mSATA form factor. It’s a pretty amazing thing to think about. You get more performance out of a tiny mSATA SSD than out of a stack of 10K RPM hard drives. Intel has been dabbling in the mSATA space for a while now. Until Monday the fastest mSATA SSD Intel made was based on Intel’s first controller technology, but earlier this week that all changed with the announcement of the Intel SSD 525. Like the 520, 330 and 335, Intel’s SSD 525 uses SandForce’s SF-2281 controller (the same silicon revision as the 520/330/335). Unlike those drives, the 525 is the first and only Intel built SandForce drive to ship in an mSATA form factor. 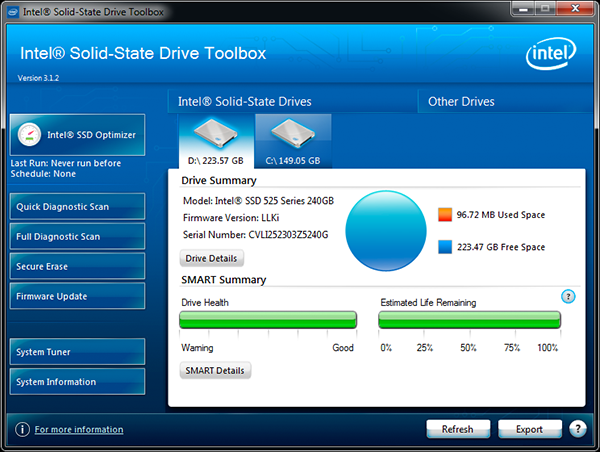 Why does Intel continue to use a third party SATA controller in many of its flagship drives? Although I once believed this was an issue with Intel having issues on the design front, I now believe that a big part of it has to do with the Intel SSD group being more resource constrained than other groups within the company. If you’re running a group inside Intel that doesn’t happen to make high-margin CPUs, you’re far more limited than you’d think in terms of what you’re able to do. One example being that you can’t just go and design whatever custom silicon you want for your SSDs. New designs require additional resources to create and tons of validation to bring to market. As a result, Intel continues to service the client market using third party controllers that are cheaper to license and integrate than Intel’s only internal 6Gbps SATA controller (the large, power hungry but still awesome beast behind Intel’s DC S3700). Like the 520/330/335 that came before it, Intel’s SSD 525 uses a custom SandForce firmware that’s only available on Intel SSDs. SandForce doesn’t give Intel access to its firmware source code, however any bugs and fixes found as a result of Intel’s own validation are incorporated into the Intel firmware. Intel retains some period of exclusivity on the features included in its custom SandForce firmware. 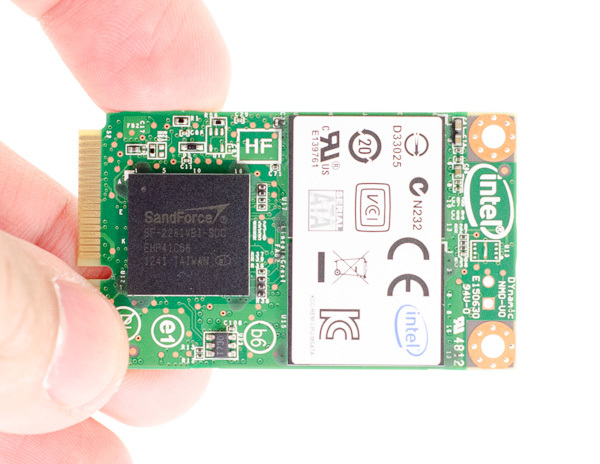 Intel’s firmware is based on an older version of the SandForce SF-2281 firmware, which makes sense given how long the first Intel SSD 520 spent in development and validation before its release. The 525 in particular uses a far newer firmware than any of the other Intel SF-2281 SSDs. Intel’s firmware naming system has never made a whole lot of sense, at least on the SandForce drives, but the 525’s shipping firmware revision is LLKi compared to 335t on the 335, 300i on the 330 and 400i on the 520. Intel wasn’t too specific about what changes were made to the 525 other than to say that there are a ton of improvements that impact power, system compatibility and stability. The 525 will also throttle performance in the event that it's in a severely thermally limited environment. There’s no word on what, if or when any of these updates will make their way to the 330, 335 and 520. 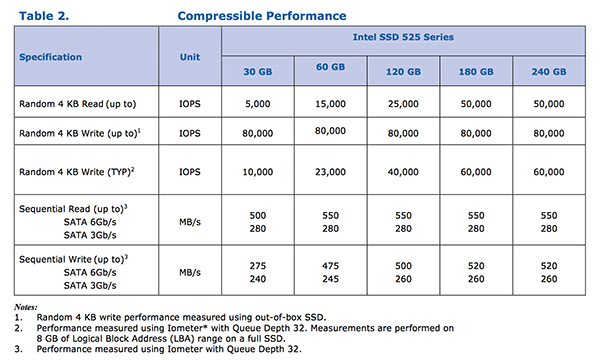 Intel's spec sheets list no performance difference between the 525 and 520, although Intel does boast lower idle power consumption compared to the 520. The 525's MSRPs aren't exactly aggressive, but street prices tend to be more competitive than these figures so we'll have to wait and see just how competitive the 525 is once it's available in volume. Keep in mind that although the 120GB and 180GB 525s are shipping to etailers today, volume production of the rest of the lineup won't come until later this quarter. The 525 comes with a 5-year warranty. 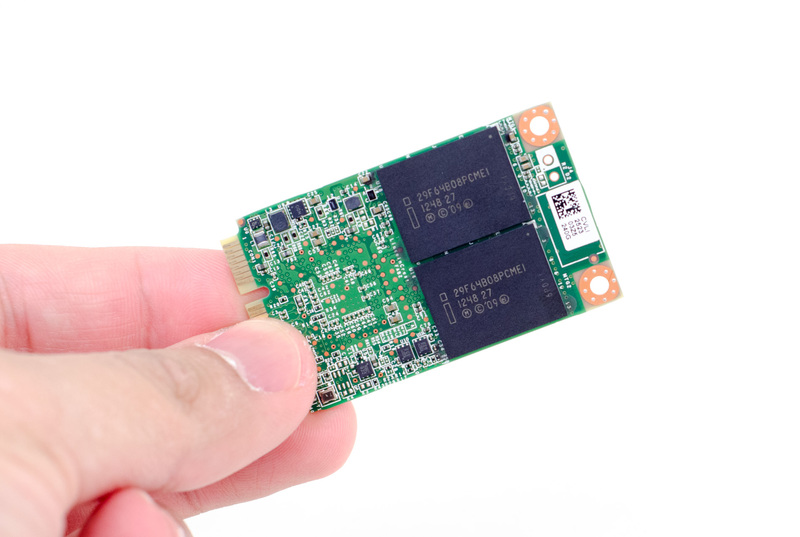 There’s not a whole lot of room on a standard mSATA SSD (51mm x 30mm), which is part of why the new M.2 spec includes options for multiple card lengths to accommodate larger capacity drives. Despite the limited dimensions, Intel and other manufacturers are generally able to fit four NAND packages plus a controller onto the card. This is one situation where the SandForce controller not having an external DRAM is very helpful as you can easily fit the large controller with two NAND packages on one side of the PCB, with the remaining two packages occupying the back side. As Kristian pointed out in his review of the 335, you can tell what process node the NAND is built on by looking at the second to last character in Intel’s part numbers. Intel’s 20nm NAND is denoted by the letter F while 25nm parts are labeled E. Looking at the NAND on the 240GB 525 we see an E, which confirms that this drive uses 25nm Intel NAND. There’s no real downside to not moving to 20nm at this point, although it is a bit unusual for Intel to introduce a drive based on 25nm NAND after it has already started the transition to 20nm. I suspect Intel is still trying to balance volumes and pricing at this point as it transitions between the two nodes. As we get into performance analysis I wouldn’t expect too much of a difference between the mSATA Intel SSD 525 and the standard 2.5” SATA 520. Any differences that do exist will likely be due to the newer firmware on the 525 and whatever power optimizations might be in place on the physically smaller drive. Yup, the 768GB SSD in rMBP has twelve 64GB (8x8GB) packages. The 128GB model is most likely using new 128Gb (16GB) NAND dies to enable the higher capacity. You can only stack up to eight dies in a single package, so a higher capacity die was needed before you could go over 64GB (8x 16GB is 128GB).